I’m pretty sure everyone has used some sort of eye makeup remover and probably has your favorite one in mind. I’m not going to go over all the makeup removers out there but only the ones I’m currently using right now. If you know something better, please leave a comment and let me know. So these are the ones I’m showing you today. From left to right are Dior Duo-Phase eye makeup remover, Kose Softymo Super Point makeup remover, Lancome Bi-Facial Double-Action eye makeup remover, Chanel Gentle Biphanse eye makeup remover and Aquaway Super Off. 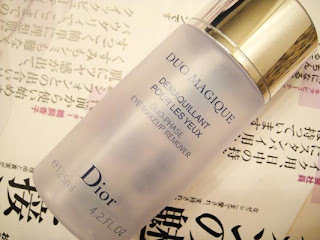 First one Dior Duo-Phase eye makeup remover is probably the worst eye makeup remover I’ve ever used. I’ve had very good experience with a lot of Dior products especially the blushes and eye shadows. So I never thought their eye makeup remover could be this bad. It has the department store price tag. It’s oily. It stings my eyes. It leaves eyeliner and mascara traces even after rubbing. All the bad things about an eye makeup remover you can ever imagine. It’s such a disappointment. So in order to get rid of it, I only use it for very minor eye makeup cleaning. I don’t think I will purchase it again unless they change their formula. 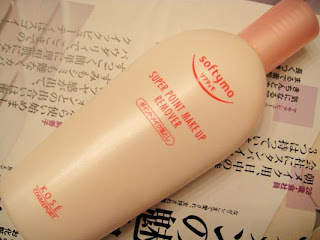 The second one is the Kose Softymo Super Point Makeup Remover. 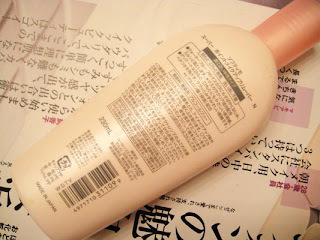 It won a lot of Japanese Cosme Awards in the past few years. So I got one at a local Asian market to try out. I don’t remember the exact price but it should be around $10. It’s in a light gel texture, very watery. I normally squeeze out a quarter size onto cotton pads , leave it on for a few seconds then wipe off. It’s supposed to work for waterproof mascara. However it’s too mild to get rid of my waterproof liner and mascara. It’s only good for non-waterproof. So once I use up this bottle, I won’t be purchasing it again. 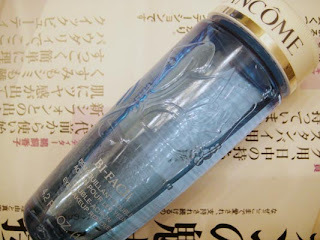 Now on to the 3rd one, Lancome Bi-Facial eye makeup remover. I heard many good words about this one as well. Some people even named it their HG eye makeup remover. It does do a decent job. Same as the Dior Duo-Phase, it’s a double-layered thing. So you need to shake well before use. Though I find it a little too oily to my liking. 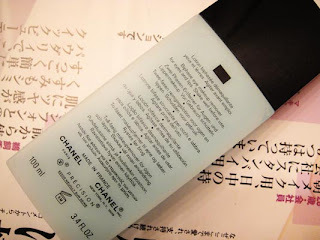 Now I’ll show you my favorite one, Chanel Gentle Biphase eye makeup remover. This is my 3rd bottle already. It seems like I always come back for it after I strayed away to try other brands. I used to think Chanel skincare is for grandmas and disliked its strong scent. Now I think otherwise. I like its classic yet simple packaging. I like its blue liquid on the bottom half. I also like the high technology and fine ingredients behind the brand. It contains Water Cornflower Extract and Water Rose Extract to soothe and calm my eye area. 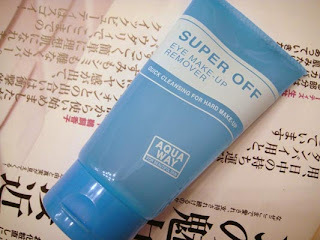 It’s gentle but effective for removing all my eye makeup, even waterproof mascara. My skin around the eye area doesn’t feel tight afterwards rather being soft. So I assuming it’s somewhat hydrating. On top of all, it’s fragrance free. Last but not least, the Super Off, is something new I tried recently. A friend of mine recommended it and gave me a tube to try. It’s made by B & C lab, owned by Sony, the company that had their lipgloss sold a million copy in Japan. Anyway, the product does what it supposed to. Its gel texture is similar to the Softymo but not as runny. I simply rub it on with my fingers and rinse off with water. Very simple. In my opinion, it’s a good product and also affordable. 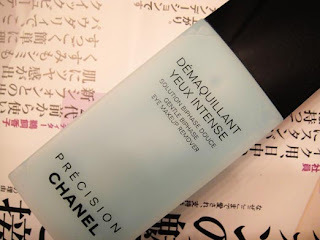 Other than those, I tried Cle de Peau eye makeup remover sample given by the counter SA as well. I wouldn’t recommend it. It’s way too harsh for my sensitive eyes. So I didn’t bother with the full bottle. ning*star: Thanks for the recommendations. I'll keep those in mind!